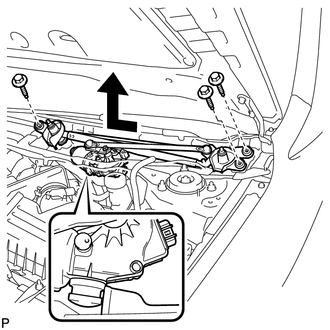 (a) Using a screwdriver, remove the 2 front wiper arm head caps as shown in the illustration. 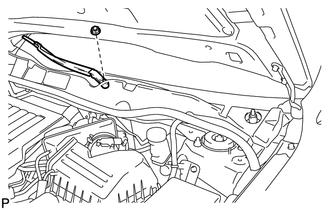 (a) Remove the nut and the front wiper arm and blade assembly LH. 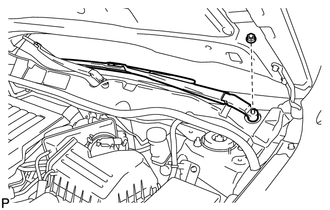 (a) Remove the nut and the front wiper arm and blade assembly RH. 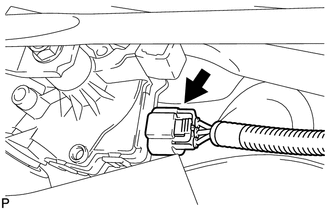 (a) Disengage the claw and 2 guides and remove the front fender to cowl side seal LH. 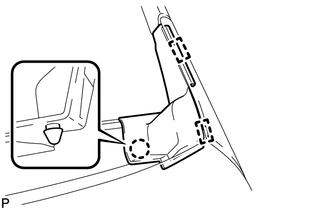 Use the same procedure for the RH side and LH side. 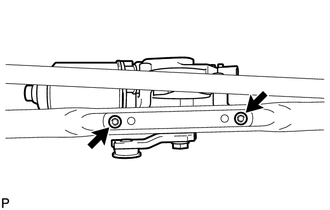 (a) Using a clip remover, remove the 2 clips. 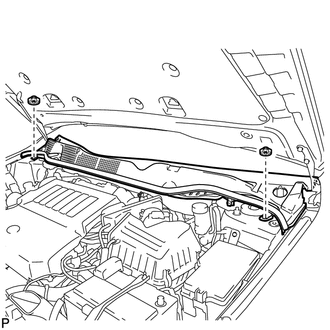 (b) Disengage the 13 claws and pull out the cowl top ventilator louver sub-assembly as shown in the illustration. 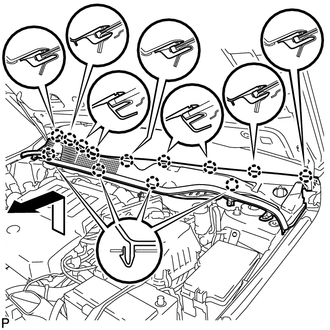 (b) Remove the 3 bolts and the windshield wiper motor and link assembly as shown in the illustration. 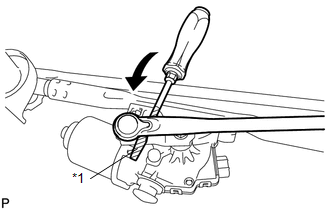 (a) Using a screwdriver, disengage the windshield wiper link rod from the crank arm pivot of the front wiper motor assembly as shown in the illustration. 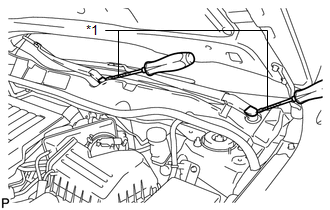 (b) Using a T30 "TORX" socket wrench, remove the 2 bolts and the windshield wiper motor assembly from the windshield wiper link assembly.